A little unfortunate incident between the French fly half Jules Palisson and England flanker Tom Wood sparks a brawl in the French capital. After a TMO review of the incident, Owens would like to clear everything up with the 2 captains and the 3 other players involved, to which he says clearly and without hesitation, “This doesn’t look good, it’s not good”. 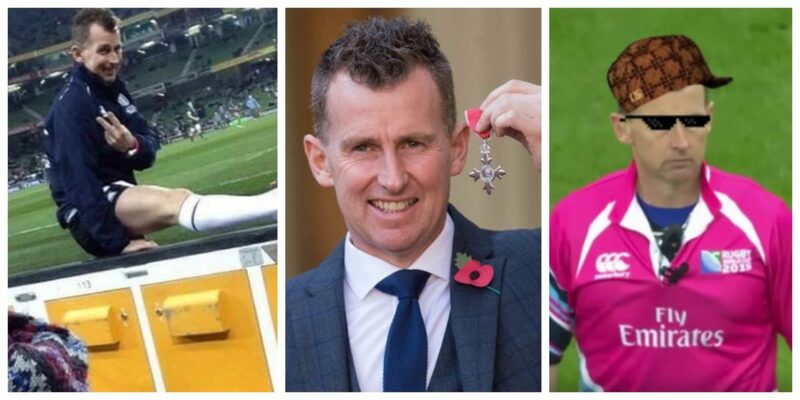 Second voice commentator Brian Moore responds with “You’ve got to love Nigel Owens”… Yeah, that’s what we were thinking. Italy skipper Sergio Parisse is in action for club side Stade Francais against Bath. He kicks down field and it bounces beautifully into touch, a kick that any fly-half or top kicker in the world would be proud of. From the resulting line-out, Stade win a penalty on the 22m line. Parisse signals to Owens that they will be going for goal, to which Owens replies “Do you want to take the kick after that one?” even though, Parisse isn’t the chosen kicker for his club.